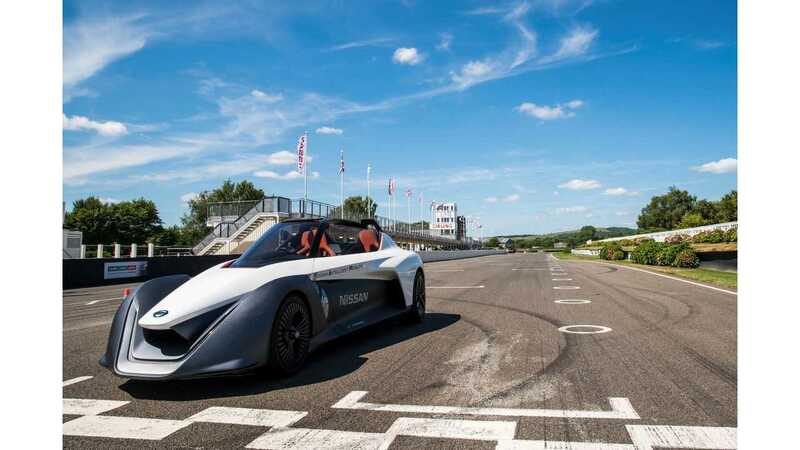 Nissan used the 2017 Goodwood Festival of Speed and its prototype BladeGlider's debut on the track (watch here) to celebrate its 70 years of electric vehicle heritage. Specifically, it has been 70 years since the LEAF Tama was introduced in Japan (in 1947 of course) by the Tokyo Electro Automobile Co., Ltd., which later became part of Nissan. While the relation between Nissan (especially modern-day Nissan) and Tama is a bit willowy, the Japanese company really did do a great service for EVs by providing the first series-produced compact EV on the market worldwide. 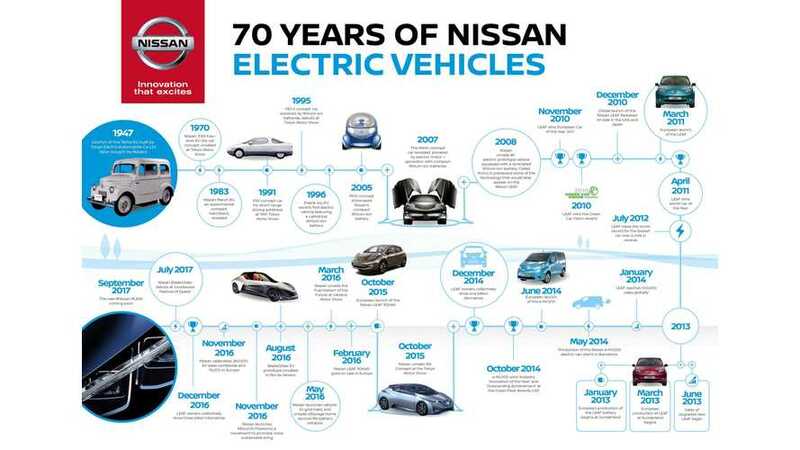 Even today, 7 years after the LEAF first appeared, Nissan has still sold more electric cars than any other company, added in the rest of the Alliance (Renault and Mitsubishi) and its not a close race. The new LEAF, set to debut in early September, could begin a new, even more successful, chapter for Nissan EVs. During the 1940s' switch to a peacetime economy, around 200 Tachikawa Aircraft employees moved to the newly established Tokyo Electro Automobile Co., Ltd., which embarked on the development of an electric car. One reason for this was the extreme shortage of gasoline at the time. In 1947, the company succeeded in creating a prototype 2-seater truck (500-kg load capacity) with a 4.5-horsepower motor and a new body design. It was named "Tama" after the area where the company was based. Its top speed was 34 km/h (21 mph). Next, the company created its first passenger car. With two doors and seating for four, it boasted a top speed of 35 km/h (22 mph) and a cruising range of 65 km (40 miles) on a single charge. The former aircraft maker employed many unique ideas in the design and construction of the Tama, such as its battery compartments. The Tama came in passenger car and truck models, and both were available in gasoline and electric versions. 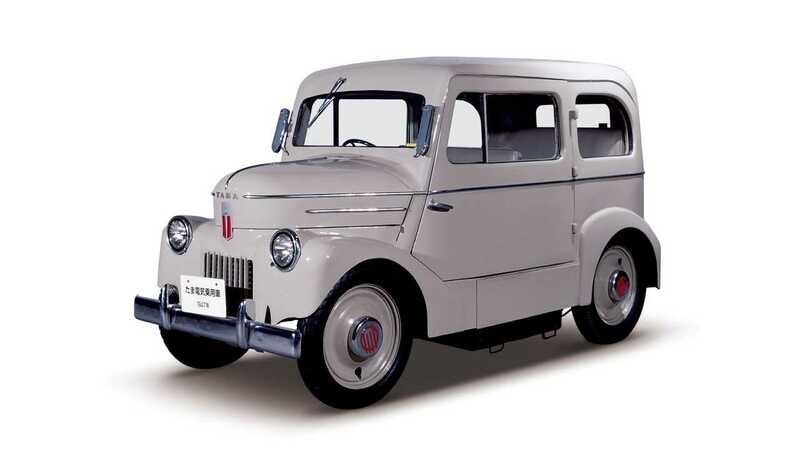 In 1948, Tama Junior, a compact passenger car, was born. Then, in 1949, came the Tama Senior, a medium-size passenger car. In 1951, this company merged with Prince Motor, which in 1966 became part of Nissan. The battery compartment was in the cabin floor of the Tama electric car. There were two such compartments, one on either side. Each battery case was provided with rollers so that used batteries could be quickly exchanged with freshly charged ones. Thanks to such engineering, the Tama took top honors in the performance tests conducted by the Ministry of Commerce and Industry in 1948.